Mel at Monday Morning Power has created this meme. It's a way for us to promote our blogs and share in some link love. Anyone can play along - just remember to follow the rules. Have fun!!! 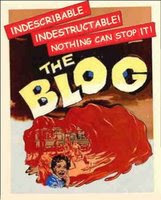 The purpose of this meme is to tell our tales by spreading the reasons that we blog to as many sites as possible. We get to explain ourselves, direct traffic to our site and highlight our own favourite post. A positive experience for everyone involved. Create a short advertisement for your site that will be spread across the blogosphere; a growing directory of blogs. You have been added to the master list. p.s. I always ask my husband if he was raised in a cereal box.